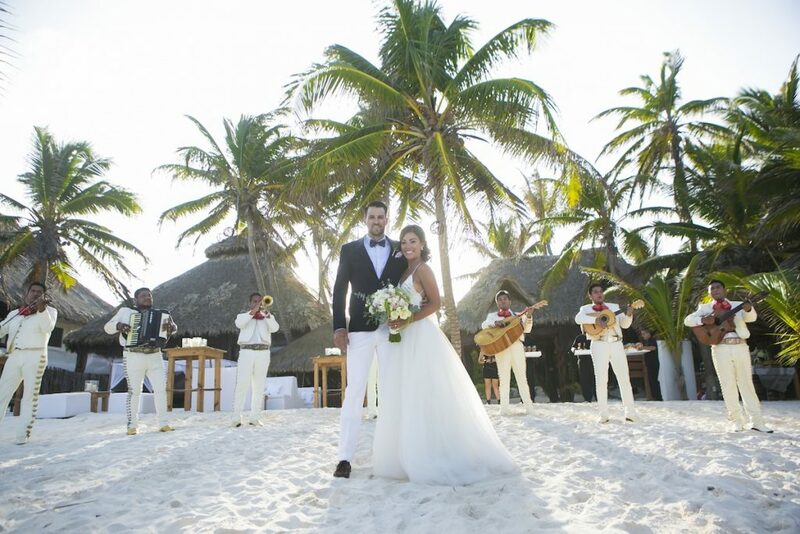 Is a destination wedding in Mexico in your future? How exciting! This is definitely going to be the adventure of a lifetime. But with so much planning to do, it can start to feel like you will never have enough time to get it all done. Who would have thought there could be so many details to plan? Sheesh, it’s enough to make your head spin! And now that we live in an age where billions of websites are devoted to the wedding industry, you don’t have the time to weed through endless wedding websites for destination wedding inspiration when you only have a few precious moments in your day! So we did it for you instead. Deep breath. Wooo-sahh. We are here to help. 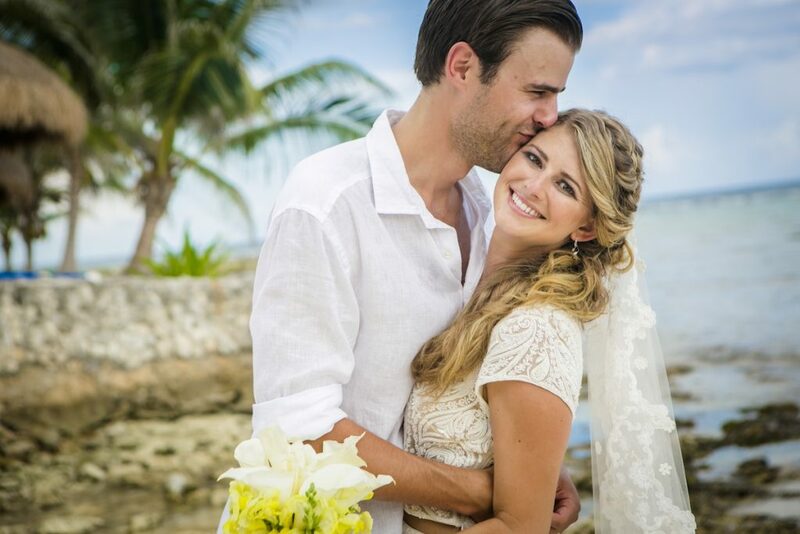 We are professional destination wedding photographers in the Riviera Maya and we know exactly where to turn for beach wedding images that will inspire you. We have simplified your search through the world wide web to the following photo-based websites, so you have all you need to plan a destination wedding of your dreams. If you are not on Pinterest yet, then consider this your homework tonight: start your free account! What is Pinterest? If you are still new to this social platform, Wikipedia breaks it all down for you here. Pinterest might be the single greatest tool for planning your destination wedding in Mexico (or for any number of other things from recipes to recycled DIY projects) and the best part is, it is SO incredibly easy to use! Whatever wedding planning detail is at the top of your list this week can be discovered on Pinterest. Unique beach themed centerpieces for your wedding reception? Check. What to put in your welcome bags? Check. Ideas for your wedding photography? Check and check. How do you find what you’re looking for? Just type whatever is on your mind (and be specific!) into the search bar at the top left, and you will get to pour through a bazillion beautiful wedding photos devoted to the subject. You see something you like? Save it! When you save your ideas to your personal boards, you can share these with your wedding vendors to give them a clear picture of your style and your wedding vision. And each image (pin) will link back to a website, so you can actually order those barefoot sandals, or connect with that amazing wedding photographer. Style Me Pretty is one of many websites that features real weddings, but this is where you should turn when you are trying to find your wedding theme. You will find inspiration for all the details, big and small, that go into a making a wedding look fabulous. Their blog features a wide variety of images from a particular wedding and does a great job of cutting through the noise to focus on the pretty details, and then showing you how it all comes together in the big picture. 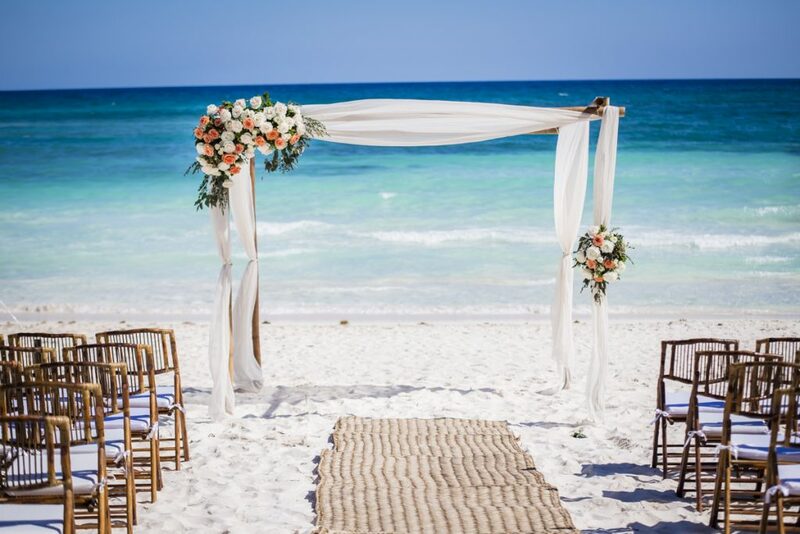 For photos to inspire your beach wedding in Mexico, just search by setting (beach) or region (destination) and you will be off and running! Find a destination wedding style you love, and then you can identify the flowers, chair covers, bridesmaids dresses (whatever!) and make them your very own. Green Wedding Shoes is one of our favorite websites to turn to for beach wedding inspiration because they feature images of weddings that are just a bit different. They are earthy and natural, or they can be dramatic and quirky. A break from what is commonly done with weddings. 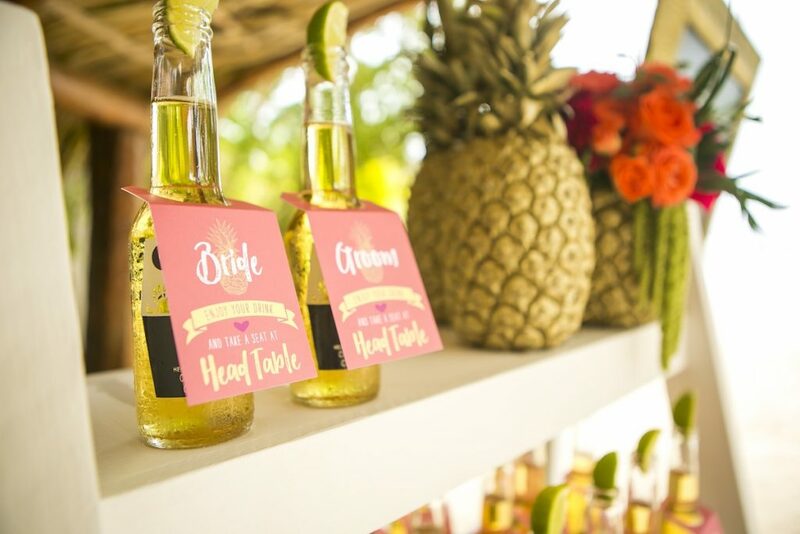 Either way, if you have chosen to get married on the beach in Mexico, you probably have adventurous spirits and are looking for a wedding style to convey your unique personalities. Search their international weddings section for inspiration. Yes, you want to marry the love of your life, but the idea of the white dress and whimsical fairytale-ness of it all makes you want to run off and elope! If you would consider yourself an alternative kind of bride (which many destination wedding brides are!) then get your wedding inspiration from Rock And Roll Bride. What better location than Mexico for a beach wedding dress in a vibrant shade of coral? Why shouldn’t your hair color match the Caribbean sea? What better time than the Day of the Dead to get hitched? If you are shouting “Yes, Yes, Yes!” then you will find your wedding inspiration with Rock and Roll Bride. If you are prepared to brave the blistering heat of Mexico wearing a Cinderella ball gown and full tuxedo on the beach just to get those spectacularly glamorous wedding photos that look like they are straight out of a high fashion magazine, then you will find your wedding inspiration at Carats and Cake. Sure you want a destination wedding, but that doesn’t mean you have to sacrifice the luxurious elegance of a traditional wedding, does it? If you are the type who wants it all, then Carats and Cake is for you. 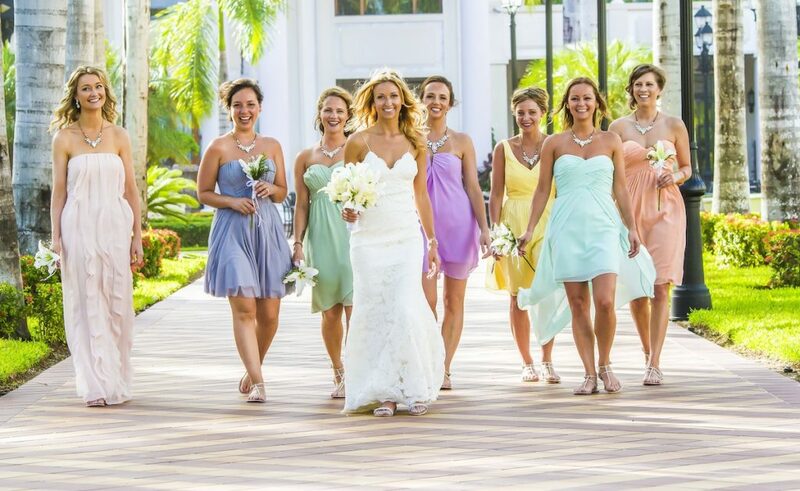 Whatever you are looking for for your destination wedding, you will find it onThe Knot. This is our hands-down favorite website for any questions you may have or inspiration you are seeking. It is a phenomenal resource for wedding planning, and you can even build your own wedding website with them! 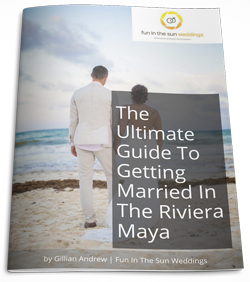 Of course, we need to sneak in the best resource for anything and everything to do with destination weddings in Riviera Maya…Fun In The Sun Weddings! Please forgive the shameless self-promotion, but seriously, everything you need to get inspired for your beach wedding is loaded into this site right here. 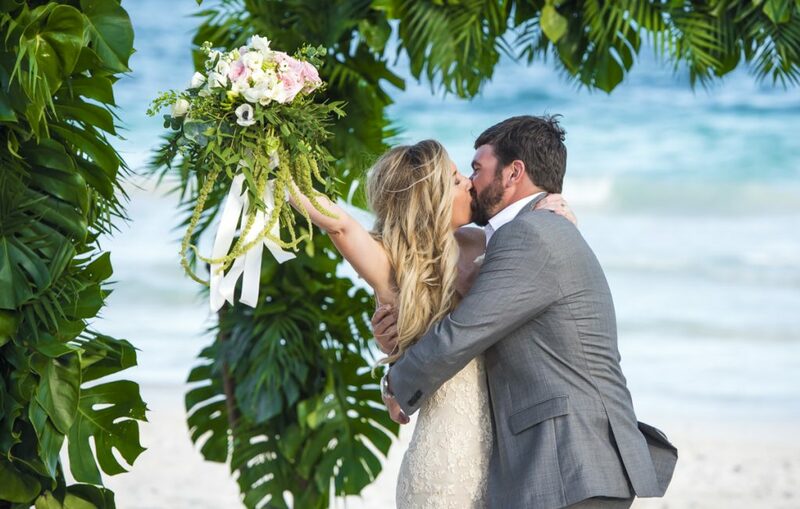 Not only will you find beautiful, fun beach wedding photos to get you excited about your own wedding, but our blog is packed full of relevant, helpful tips to guide you in planning your destination wedding in Mexico. What are the little-known things to plan extra carefully if you’re getting married on the beach? How to choose beach wedding dresses? 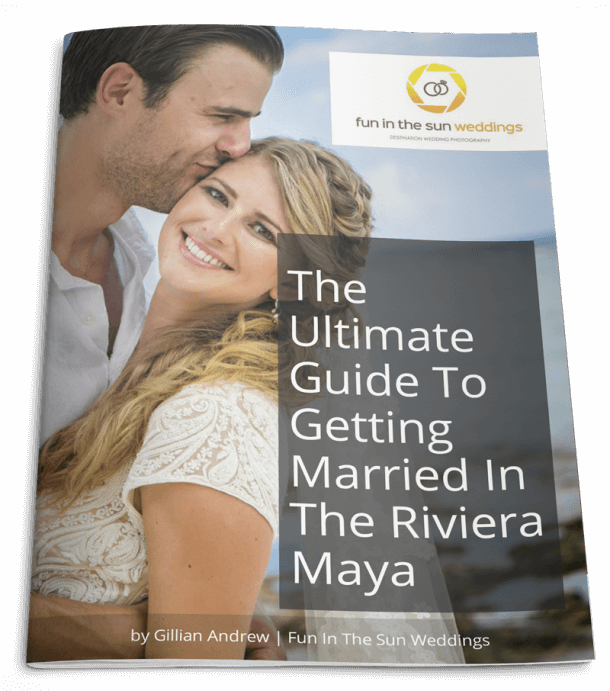 What are the legal requirements of getting married in Mexico? What are resort vendor fees? What is destination wedding etiquette? There you have it. You are now armed and ready with the best wedding photography websites to bookmark for planning your destination wedding in Mexico. 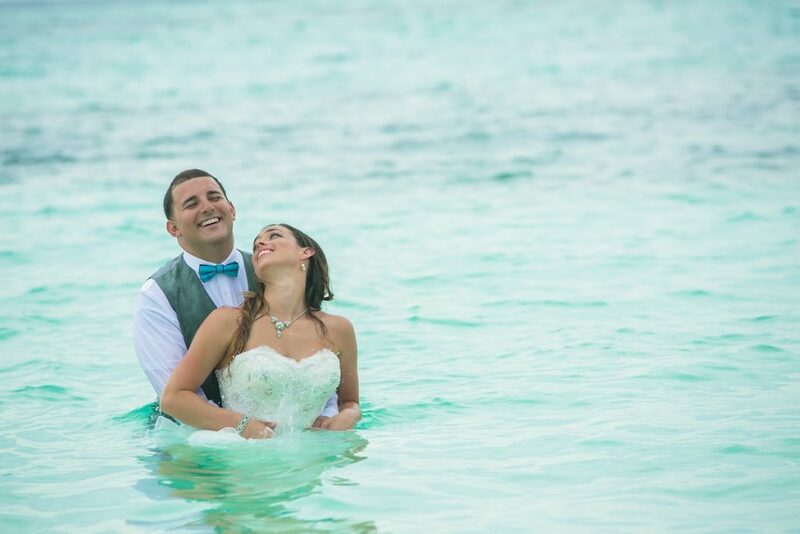 And when you are ready to book the best wedding photographers in the Riviera Maya, then get in contact with us here. We are Fun In The Sun Weddings, the best wedding photographers in Playa del Carmen, Tulum and Cancun. Did we miss any of your favorite websites? We want to know what YOU love! Let us know in the comments below. Great post! Very inspirational. Thank you for sharing! We are SO glad that you enjoyed this post Pedro!